In the background of new curriculum reform, researchers do an experiment in junior high school to design a new Chinese learning evaluation system during a whole year. 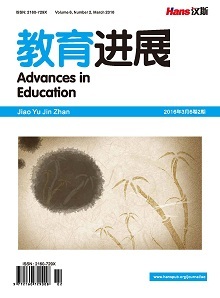 It tries to develop a more interesting and procedural evaluation system to stimulate the Chinese learning interests of students and to compromise Chinese micro-learning community. This research analyzes this new evaluation system attempting from the aspects of standard designing, rules operation, reward system and feedback reflection by the record of practical operation and student’s feedback questionnaire investigation. Researcher believes that, although Chinese learning league system has some disadvantages, it is still a positive and significant attempt in the aim of protecting students’ learning interests and creating formative evaluation. 教育部. 教育部关于推进中小学教育质量综合评价改革的意见[EB/OL]. 教基二2号. 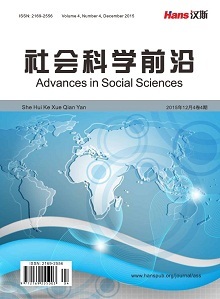 http://www.moe.edu.cn/publicfiles/business/htmlfiles/moe/s7054/201306/153185.html, 2013-6-3. 蒋文华. 全面接轨语文课程标准: 多元改革考试评价制度[J]. 陕西教育(教学), 2010(3): 9. 张艳. 科举考试对当今语文评价体系的影响[D]: [硕士学位论文]. 武汉: 华中师范大学, 2007. 张翠萍. 赏识教育的理论与实施对策[D]: [硕士学位论文]. 济南: 山东大学, 2006. 薛忠滨. 享受每一天全新的自我——构建“升级式”语文评价体系[J]. 新课程(上), 2012(1): 188. 张志抒. 关于语文学科评价制度及作业改革的探索[J]. 小学时代(教师), 2012(5): 104.